So did you put a lock there too? 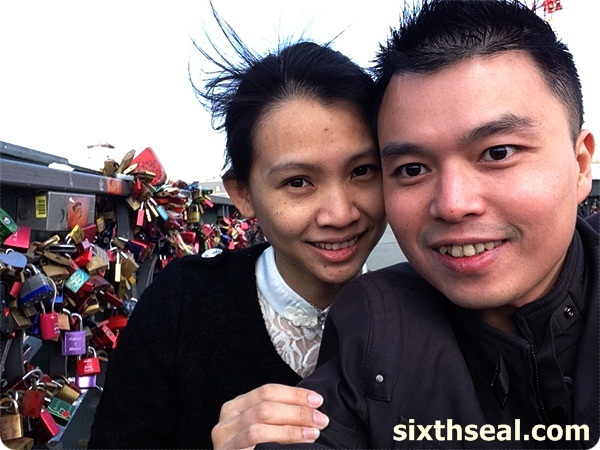 There are 3 bridges in Paris with love locks but the most famous one is the one near Notre Dame. 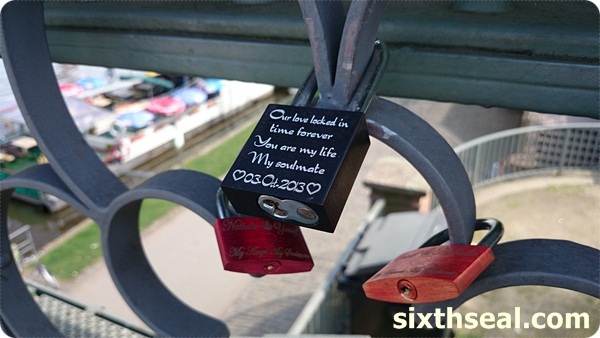 I was in Italy a few years ago and I saw many of these padlocks around… especially at Verona’s Juliet House (the same one from Romeo and Juliet), there were padlocks all over the place! That’s cool! I’ve never been there and always wanted to coz I love Romeo and Juliet. I want to go to Sicily too but didn’t have time. Nice mate, hope you enjoyed the trip! 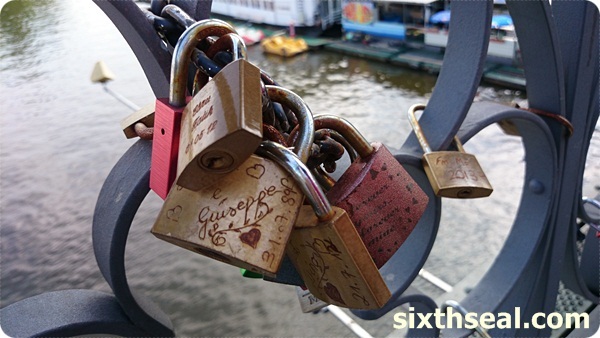 It’s quite ingenious, they’ll put locks high up, locks on top of locks, and get *CHAINS* to lock onto the bridge so there’s a loop where even more padlocks can be locked! Gee!!! That’s brilliant, those locks. So lovely, a great idea, I think! Too bad they would have them removed but safety first, I guess. It’s just that when there’s toooo much e.g. 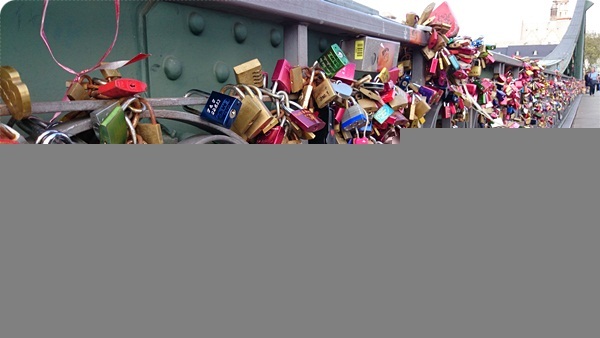 people adding chains and large bicycle locks *and* put more padlocks on that when they run out of space that makes the bridge load unsafe. 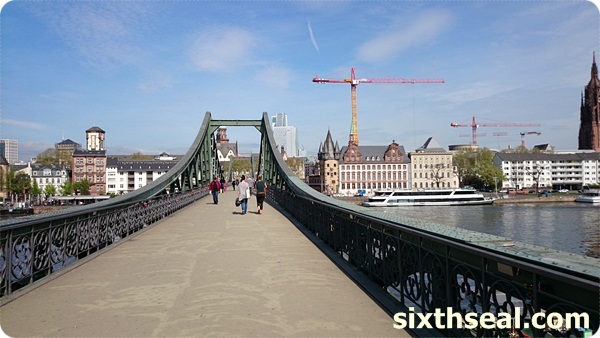 These are pedestrian bridges and they’re quite careful about extra loads since a bridge in US nearly collapsed when there was a peaceful walk across to commemorate an anniversary – they didn’t account for the weight of all the people making the metal and concrete bridge actually sway dangerously and cracks appeared in the foundations. I read Malaysia has one now too! 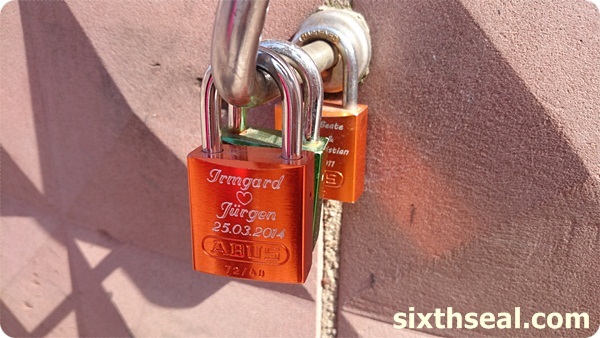 It’s such a great idea to have a love lock bridge. I don’t know why, but when I read about the one in Paris, I keep thinking that it is symbolizing a love that never dies. Yeah, it is a romantic thing to do eh? Would be nice to come back 10 year later and still find the lock there! 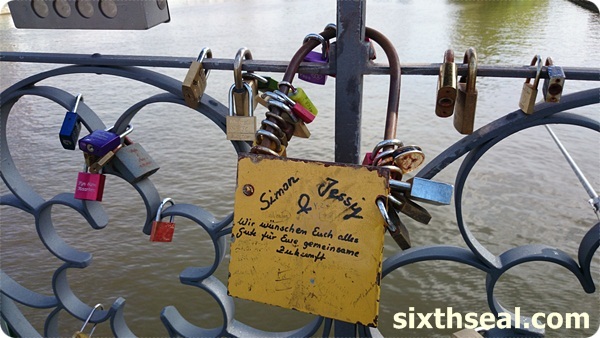 We were quite surprised to see the Frankfurt one but the one in Paris has more padlocks. I have seen similar bridge in Twilight Man’s blog. That one was going up the mountain. 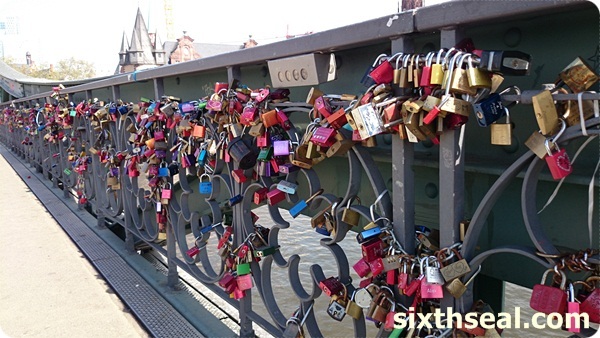 Yeah, I think there’s a love bridge in every country now! I hear Malaysia is making one specially for this in Penang too! The original one is in Paris behind Notre Dame though.